This topic contains 1 reply, has 2 voices, and was last updated by Aleksandr ZE 8 months, 2 weeks ago. 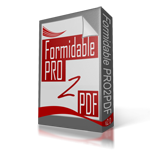 Pro2PDF working nicely in the main and I have just purchased upgraded licence. One issue I’m having is the quality of the signatures when added to output PDF. I don;t think this is a Formidable signature add-on issue as the image from Formidable on the output email looks OK, just not so good when added to the PDF. The signature image appears to be changed in that the lines are thicker and generally poorer quality. This seems odd as I would have thought it would insert the image as is. You can see an example at https://pasteboard.co/Hyo3eub.jpg with the png generated by Formidable above and a screenshot of my PDF (it has a grey background) below. I’ve read up on the signature ‘multiplier’ and tried this but think the issue lies somewhere int he PDF export. I have tried resizing both the input Formidable canvas and the output field but no luck. Any ideas on how my PDF signature outputs can be the same quality (or at least the same line thickness) as the original Formidable output? This reply was modified 8 months, 2 weeks ago by Aleksandr ZE.